AVG CloudCare is the latest system to manage computer security across an entire organisation making management, updating and monitoring a simple task for any business. In addition to this there is a free remote support package built in, allowing an administrator to remotely log into any machine to perform maintenance or to help with a problem the user has. Another feature business owners find very attractive is the monthly pay as you go billing which means you only pay for the machines that are using the program and there is no minimum subscription which could leave you unprotected if the subscription expires. 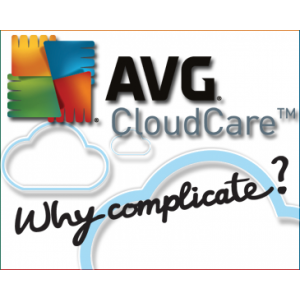 In addition to all of these great features AVG CloudCare is very well priced starting at only £2 per machine per month, making it much cheaper than most of it’s competitors.